That is, unless Flynn can think of some other attempt to sell out the US for financial gain he wants to tell prosecutors about, the record on which he’ll be sentenced will remain largely the same. And at least from that comment, Mueller’s team seems skeptical “the EDVA case” will go to trial. Which is interesting because of the graymail that Flynn’s former sleazy influence peddling partner, Bijan Kian, is attempting in that EDVA case right now, and a request the government made yesterday in it. 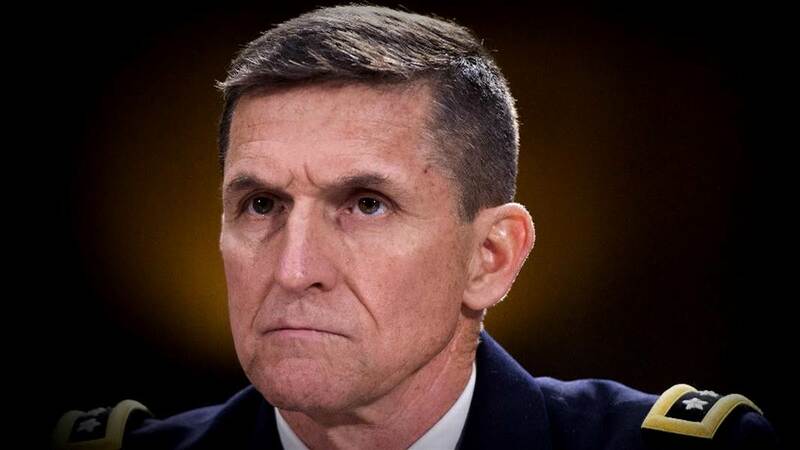 Back on March 1, Kian moved to force the government to turn over all of Mike Flynn’s 302s under Giglio. (302s are what the FBI calls their interview reports, and Giglio is a discovery obligation to turn over the government communications it has about witnesses it will call to testify at trial). They pointed out that Flynn has a history of lying, even beyond the lies he pled guilty to, and the 302s the government had turned over were just a subset of the whole and were heavily redacted. The government refused, noting that Flynn spoke to the government about a lot of things not having to do with his sleazy influence peddling having to do with Kian. Effectively, the defense was arguing that Flynn may have lied about the other topics he discussed with the government, so they need to see it so they can paint him as a liar during trial. As I mentioned, this is really a (completely justifiable) graymail attempt rather than a legitimate search for proof of Flynn lying. Mueller’s team was pretty clear with Sullivan that once Flynn started cooperating, he cooperated in good faith. But by asking for the 302s regarding the rest of his cooperation, Kian is asking for materials he knows the government is unwilling to share. All that stuff was kept sealed in December during Flynn’s aborted sentencing, we know some of it pertains to Trump’s potentially criminal conduct, and the other investigation on which Flynn cooperated (which is likely the CI side targeting Russia) appears to be even more sensitive than the potentially criminal conduct of the President of the United States. Kian is doing this to try to make going to trial more costly for the government. There’s abundant reason to believe that the government doesn’t need Flynn at trial for anything more than to certify the many emails on which he and Kian conducted their sleazy influence peddling, but given that he’s an unindicted co-conspirator, Kian is absolutely within his right to pretend that Flynn will be central. 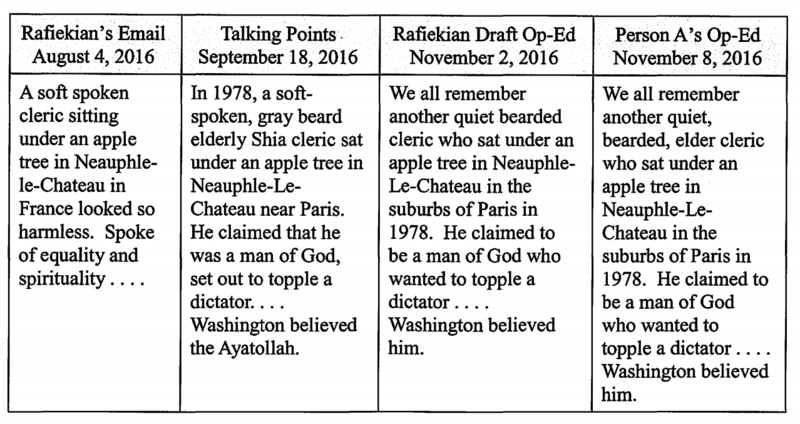 This was supposed to be heard at a hearing last Friday, which got bumped to this Friday. But yesterday, the government just asked to have the hearing bumped four more weeks, to April 12, with their response to Kian’s request due April 5 (this request first reported by Josh Gerstein). That timing is pretty interesting, given that the government envisions finding “a potential resolution” that would moot Kian’s request. The 302s of General Flynn’s interviews relating entirely to matters other than the pending charges against the defendant contain information concerning a number of sensitive matters, including ongoing investigations. The government is attempting to coordinate within the Department of Justice on a potential resolution that could moot much of the defendant’s request. However, this coordination requires time because of the various interests involved. One resolution that would moot his request would be a plea (indeed, this case has seemed destined to be pled out to just the conspiracy to act as a Foreign Agent charge, just like Maria Butina did, from the start). Another would be the conclusion of the ongoing investigations that require his other 302s to be withheld. Or they might have another solution, such as summaries of the other 302s, akin to CIPA substitutions (which might be necessary in any case for an ongoing CI investigation into Russia). Whatever the solution, DOJ thinks that solution will be available on April 5 where it’s not today. Kian’s team has objected to that request, arguing that they need a lot of time to review this classified information. Again, this is graymail, but nevertheless a totally legitimate attempt to gain leverage in what are presumably plea discussions going on in the background. Update: The judge denied the government’s motion for a continuance, which means the hearing will go forward on Friday morning. 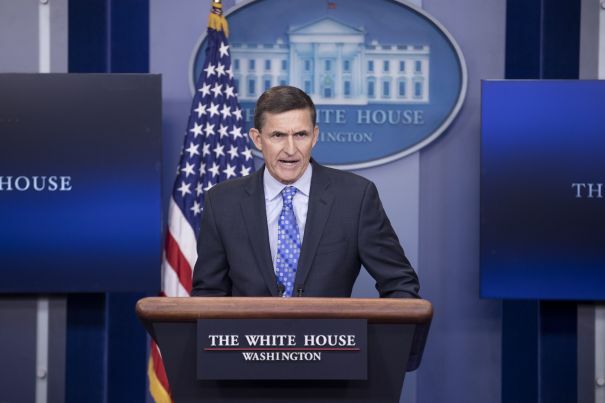 In its brief arguing that Mike Flynn’s lies were significant and willful on Friday, the government reminded that Flynn lied not just about discussing sanctions with Sergei Kislyak, but also about his FARA registration. Moreover, as the defendant has admitted, weeks after the January 24 interview, he made materially false statements in filings he provided to another branch of the Department of Justice pursuant to the Foreign Agents Registration Act (“FARA”). See Statement of Offense at ¶ 5, United States v. Flynn, No. 17-cr-232 (D.D.C. Dec. 1, 2017) (Doc. 4). The defendant made those false statements while represented by counsel and after receiving an explicit warning that providing false information was a federal offense. See, e.g., FARA Registration No. 6406, Flynn Intel Group (March 7, 2017), available at https://efile.fara.gov/docs/6406-Registration-Statement-20170307-1.pdf. The defendant was equally responsible for telling the truth to both Department of Justice entities, and under both circumstances he chose to make false statements. It just unveiled the indictment (which was actually filed on December 12) that probably came of his substantial cooperation in a separate criminal investigation, against his business partner Bijan Kian. Kian got charged — along with Kamil Emil Alptekin — not just with FARA violations but with 18 USC 951, serving as an agent of a foreign government. I’ll comment more on the substance of the indictment in a follow-up post. But I’m as interested in the timing, for two reasons. While this addendum seeks to provide a comprehensive description of the benefit the government has thus far obtained from the defendant’s substantial assistance, some of that benefit may not be fully realized at this time because the investigations in which he has provided assistance are ongoing. I took that to be a comment about indictments. Some districts premise a 5K letter like Flynn received on providing enough testimony to indictment someone else. The government was just a week short of indicting Kian when they submitted that filing. The unsealing of this indictment (Kian’s arraignment was actually scheduled on the 14th) comes even as Turkey is claiming that Trump told Erdogan at the G-20 that his Administration is working on extraditing Gulen, the topic on which Kian was secretly acting in Turkey’s interest. In an interview at the Doha Forum on Sunday, Cavusoglu asserted that US President Donald Trump told Turkish President Recep Tayyip Erdogan at the G20 summit in Argentina this month that the US was “working on” the extradition of [Fethullah] Gulen. The exiled cleric, 77, has been living in a gated compound in eastern Pennsylvania after leaving Turkey in 1999. Erdogan has held Gulen responsible for the deadly attempted coup against him in 2016 — a charge Gulen has denied. However, there’s no sign from Washington that the US is moving towards extraditing Gulen. Last month, the State Department said the US had received multiple requests from the Turkish government and continued to evaluate materials presented. The circumstances of Trump’s meeting with Erdogan got some attention, as the White House canceled a formal meeting with the Turkish president, but did have a less formal, 50 minute meeting. This indictment will presumably make it harder for Trump to fulfill that promise, if indeed he made it. In any case, by unsealing this indictment today, it will make it a lot harder for Flynn’s lawyers to argue in his sentencing hearing tomorrow that his lies weren’t serious. By flipping, Flynn avoided being charged as a Foreign Agent.